Living in such a tech-savvy society, I'm sure we've all had our fair share of online shopping experiences, be it buying clothes, books, or even electronic products. It just opens us up to more choices available which are affordable and yet so convenient. 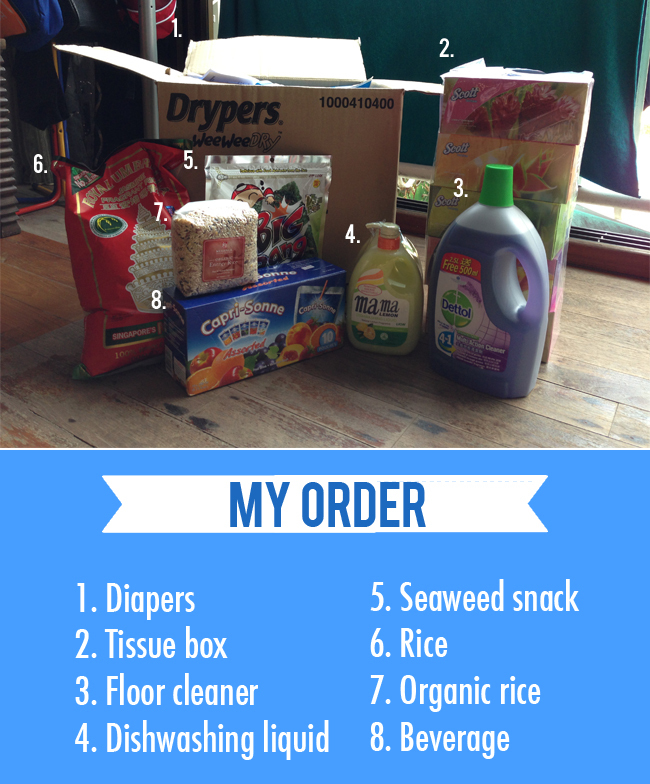 Recently, I had the chance to shop online for...GROCERIES! Yes, that's right the kind of shopping that you have to do almost every other week or at least once a month. I actually enjoy grocery shopping...but the thing I dread the most is carrying all of that home! Thankfully, most of the time I've got Daddy Li to help me when I've got to buy all those heavy items. But now with grocery shopping online, I don't have to trouble him at all..and best of all I don't have to carry anything. All I do is find somewhere comfy to sit and click click click..
wait a day at least and my order's here! All that's possible thanks to RedMart! RedMart is a local online grocer that offers a wide variety of groceries and household essentials at competitive prices and best of all they deliver it right to your doorstep. In situations like the recent haze, shopping on RedMart means I don't have to head out and get groceries and worry about our health especially K's cos she has to come along. 2. Time Saver: Shopping online saves so much time. I can do it whenever convenient for me like when K is taking her nap or asleep. Should K need my attention, I can always shop half way and come back to it later. I don't have to spend time packing our bags to go out, getting all of us ready and then waiting for the bus or cab. No travelling time needed, no searching high and low for the items I want to buy and no long queues at the cashier. I also save time spent travelling back home and then unloading the items. 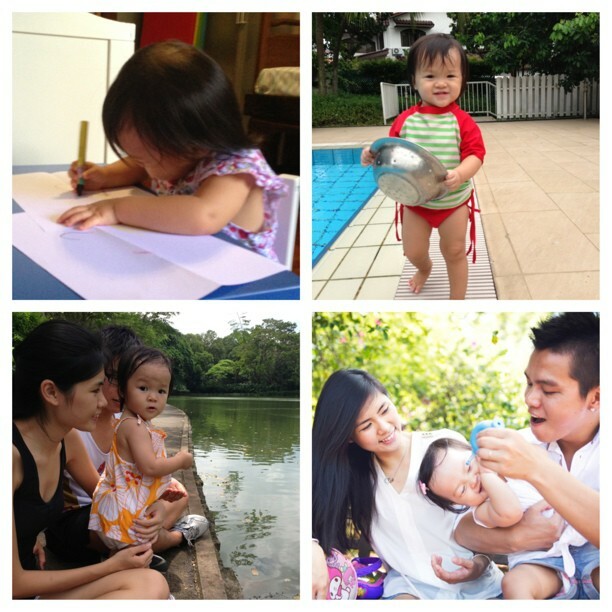 I can do so much more things with the time saved like cooking, spending time with K doing home learning projects or even squeeze in some family bonding time. 3. No more bulky items to carry: I only ordered 8 items, but that's already difficult enough for me to carry. Items like rice and diapers are already heavy on their own, what's more I've still got Kaitlin to look after and our own bags to carry. Plus, we don't drive and live in a walk-up..imagine how awesome it was to not have to lug all these items onto a cab and then unload it and bring it up, but have RedMart deliver right to your doorstep! I didn't have to trouble Daddy Li at all. 4. No crowds: I don't have to deal with crowds anymore. Most of the time, I would need Daddy Li to tag along to help me with carrying all the items. That usually means we can only grocery shop on weekends and whether it's morning or night, the supermarket always seems to be crowded. Shopping on RedMart means I don't have to squeeze with people at the aisles with my trolley and pram to get what I need, and also I don't have to deal with long queues and an active toddler who can't keep still while waiting for our turn to checkout. 5. 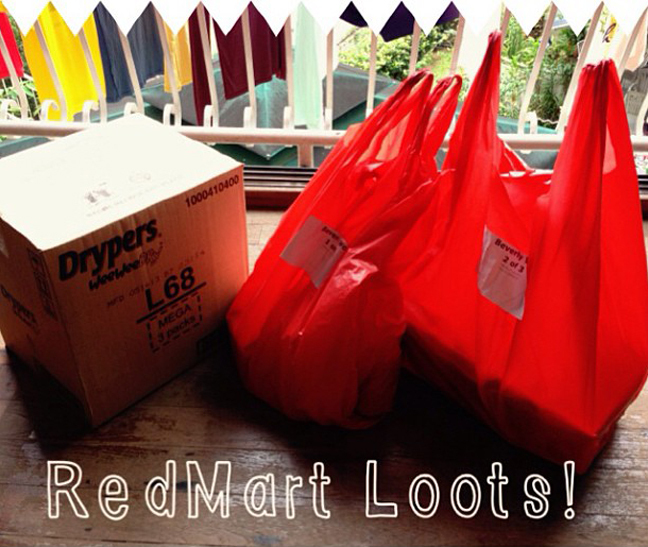 Money Saver: RedMart offers free delivery on orders >$75 - an amount that is very easy to accumulate. Unlike shopping at a supermarket, this means I don't have to spend money travelling to and fro. 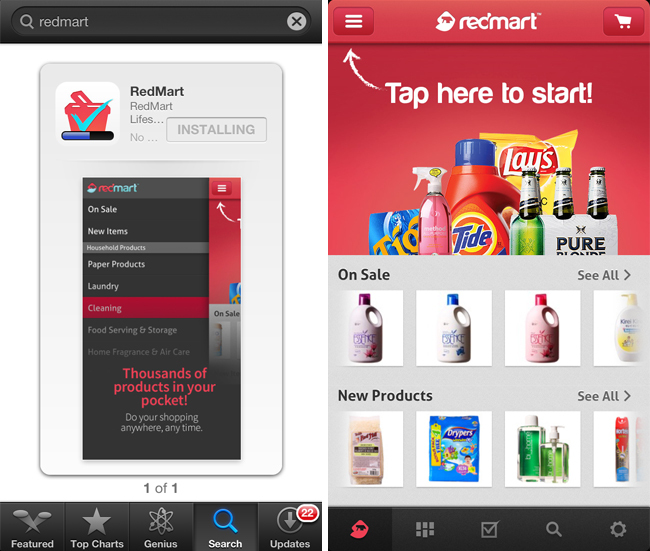 What's more RedMart's products are all sold at competitive prices similar to the supermarkets, and they have sale items as well. For more updates on their promotions, you can also follow them on FB and Twitter. 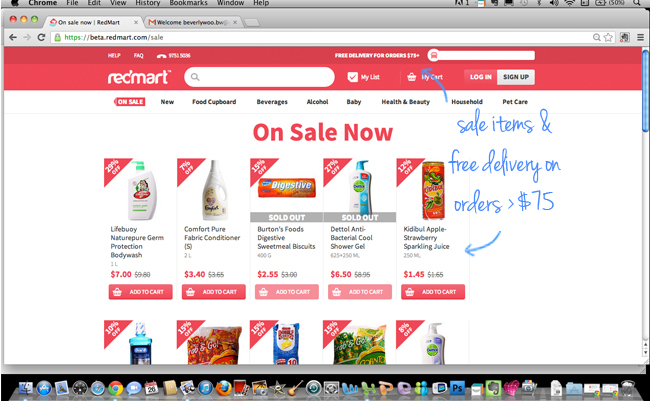 Now, don't you agree with me that shopping online for your groceries at RedMart is so convenient and fuss-free? Best of all..for all Hello Little Sunshine readers, you can get an additional 10% off on your first purchase! All you've got to do is enter 'rm_lilsun' before you check out! Happy shopping! Disclaimer: This is Part One of a series of compensated, scheduled conversations between RedMart and Hello Little Sunshine. All opinions and views are my own. Purchases are separated into goods and services. Then there are goods that cost more because of the additional service going towards the final product. Let's take a look at four grocery delivery items that would fall into this category. hallo, Thanks for giving me a very useful infomation about online grocery shopping. Have to time to visit grocery store then try to shop with online grocery shopping, best for those who are busy and have baby to look over.